3 Popular Culture Office Romances: Appropriate or Not? Sam and Diane from Cheers. Scenario: A business owner makes advances (some rejected, some accepted, some enjoyed) to a lower-level staffer, creating an occasionally difficult work environment. Verdict: Extremely inappropriate. It doesn't matter whether it's accepted or not accepted. It's inappropriate to put the staffer in that position, just because of the differential positions of power. 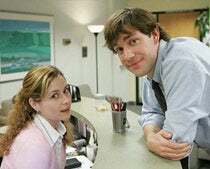 Jim and Pam from The Office. Scenario: Co-workers' relationship blossoms into more outside of the office. They try to keep it a secret, but people have their suspicions. Verdict: They should go to their supervisor and HR to let them know about the relationship. It sounds like it is leading to gossip--it could lead to a distraction. 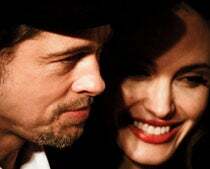 Scenario: Two high-wattage actors meet on a movie set and hit it off. One is single; the other is married. Verdict: It's probably not advisable in terms of the gossip that will occur. But unless the organization has a specific policy of not allowing relationships, then it's probably outside of HR's realm.